This pair of 52.7m tall, mixed-use towers stand proud over Herzliya Marina. 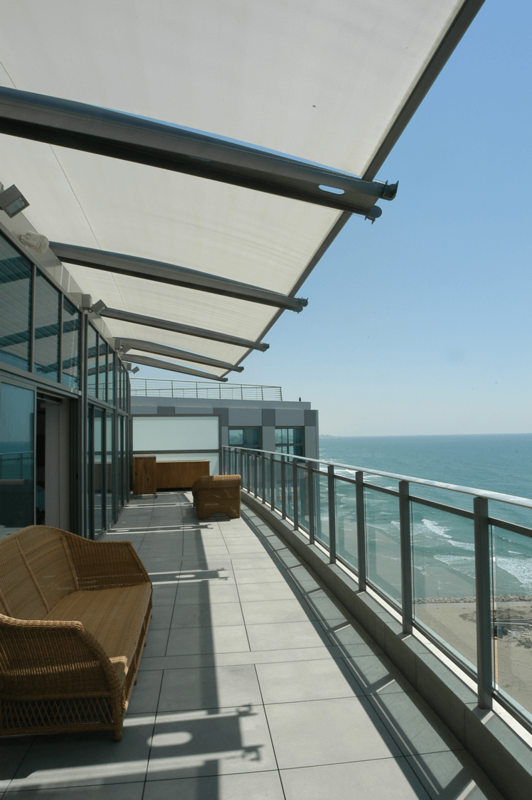 The luxury apartment owners enjoy an elevated swimming pool overlooking the sea, gym and spa facilities and 24 hour security, as well as direct access to the prestigious Arena shopping complex. 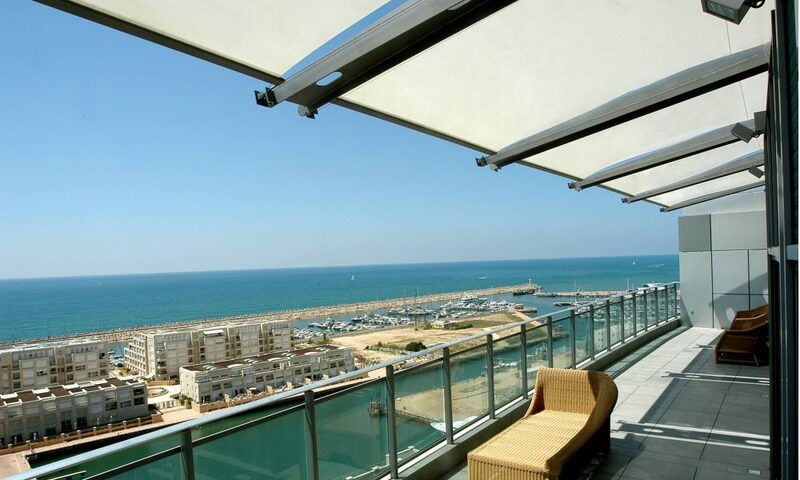 Herzliya Marina is located in the city of Herzliya on Israel’s west coast, one of Israel’s most affluent districts, and the chosen address for a large number of ambassadors, foreign diplomats and businessmen. The shading requirement was originally specified as an awning but the design team soon concluded that the exposed location required something stronger which was when Guthrie Douglas became involved. Our engineering team worked with the design team to integrate a supporting structure within which to fix our TESS™ 440 cabled-guided tension system. Slim wire guides and a weather resistant headbox made it easy to design the systems into the façade so that they are near invisible when retracted. 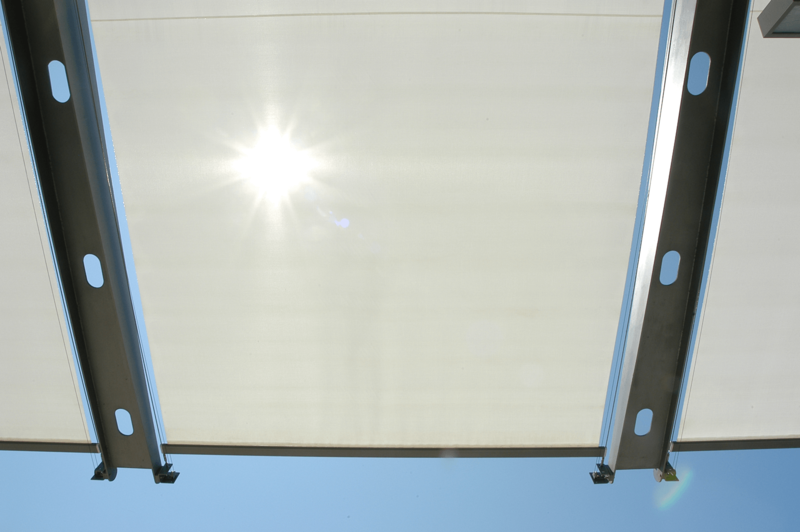 The result is a shading system that will withstand strong winds and which blends into the building, in a way which an awning never could. Our engineers love being presented with a challenge, especially one that involves overcoming wind pressure. Read about the systems we designed for the roof terrace of Paris’ second tallest skyscraper.